Only 1st Edition is now in print. 3. Article: Is Separation of Church and State Found in the Constitution? 4. Message by Jerald Finney. 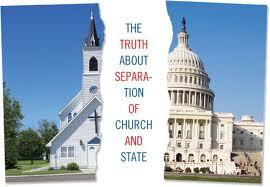 Is Separation of Church and State Found in the Constitution? A biblical and historical Baptist principle is that God desires separation of church and state, not separation of God and church or separation of God and state. Study Jerald Finney’s writings and/or audio teachings to discover the truth about and how to apply the principle. Finney’s teachings prove that the revisionist view of Separation of Church and State accepted without examination by most American “Christians” is false and has done great damage to the cause of Christ and to America.